SLV RS-DMRP Comparison Graph one year yield Dec 2000. This is a repeat of earlier graph but is given here for completeness with others. Click on graph to see clearer version with distinct writing. SLV RS-DMRP Comparison Graph 20 year minus one year yield Dec 2000. Click on graph to see clearer version with distinct writing. 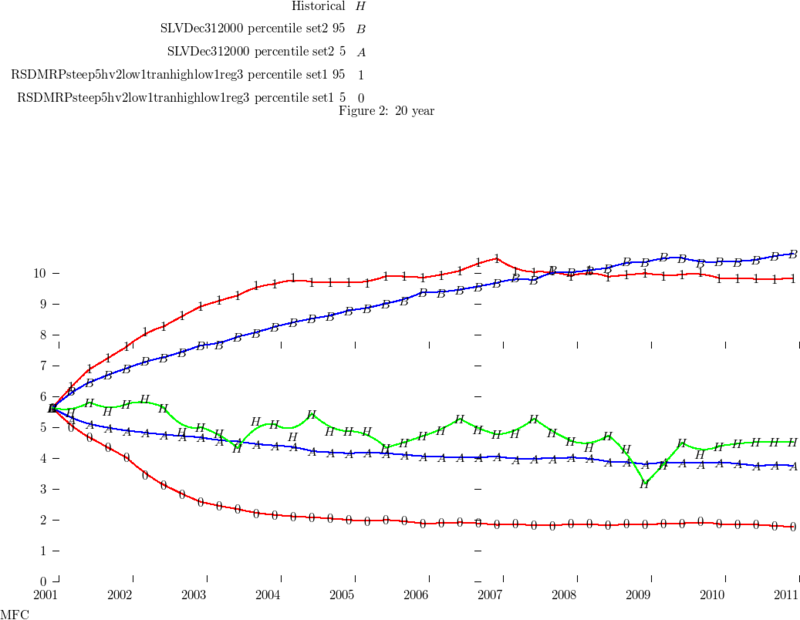 The Academy of Actuaries SLV model and Regime Switching DMRP are compared starting from December 2000. Click on graph to see clearer version with more distinct writing. 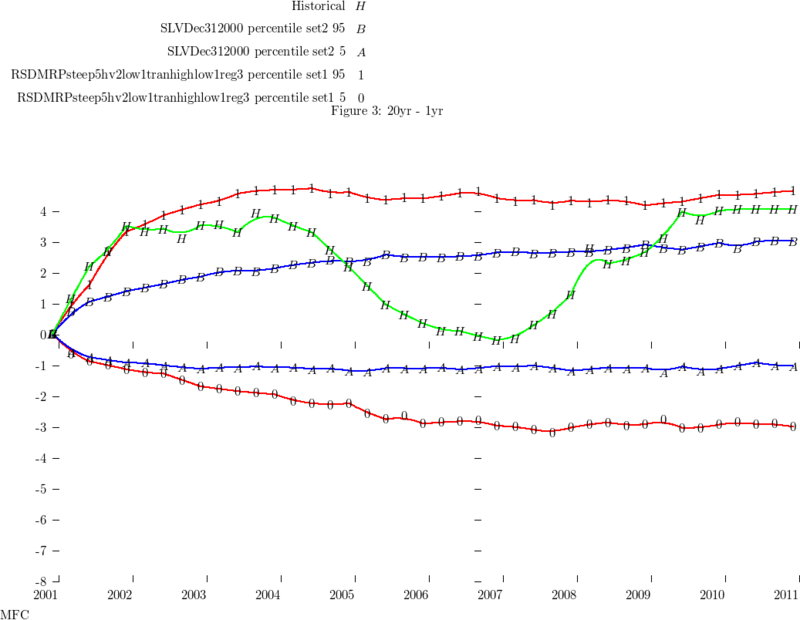 We show a comparison of the SLV v RS-DMRP December 2000 5th 95th Percentiles. Click on graph to see enlarged clearer version where writing is distinct. One notes the SLV model as calibrated does not deal well with the zero interest rate bound monetary policy, i.e. keeping the short term rate close to zero. RSESG (TM) stands for Regime Switching Economic Scenario Generator. Information relating to the Regime Switching DMRP Economic Scenario Generator is provided here. Other topics including applications are covered.